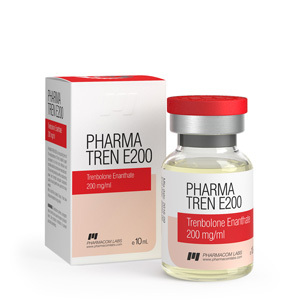 Steroid, more powerful PHARMA TREN E200 at this stage of development of sportpharma simply does not exist. It is several times greater than testosterone in anabolic and androgenic activity. 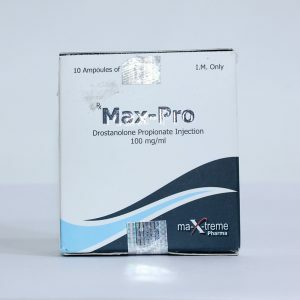 The drug from the company PHARMACOM LABS is of high quality, and Trenbolone enanthate price is democratic. Especially when you consider the power of the steroid. It should also be said that the drug is used only in power sports. A sharp increase in power indicators. Powerful fat burning effect on the body. Increases the rate of metabolic processes. Its anabolic characteristics make up 400% of “pure testosterone”, however, unfortunately, androgenic properties reach 200%. With a well-organized course, an athlete can count on an “extremely” rapid gain of up to 10-12 kg of muscle mass at the “exit”, and the “flow” of the course itself will be smooth and without various complications, including estrogenic character (gynecomastia, etc.). However, the drug is intended primarily for experienced athletes, and not for beginners.